The Ancol Small Bite collar and lead set is designed for the smaller toy breeds and puppies. The collars are narrower and more lightweight than the mainstream collars and have more delicate quick release clips and fastenings. Available in two colours: Chocolate or Raspberry! 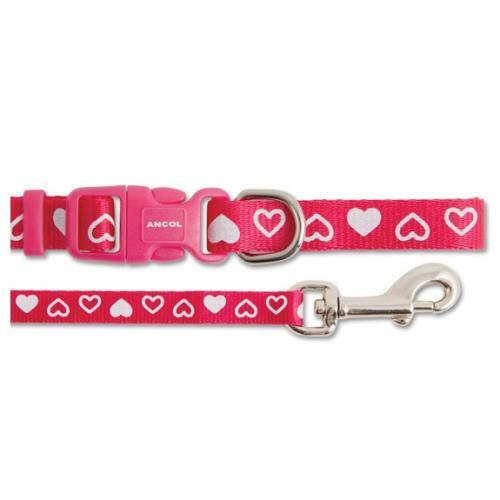 Both heart design collars are adjustable and measure from 20cm-30cm and the lead is 1 metre in length.